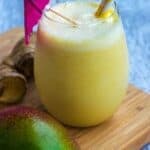 Mango ginger snap smoothie recipe – a delicious dairy free smoothie made from mango, banana, coconut milk and a hint of ginger. 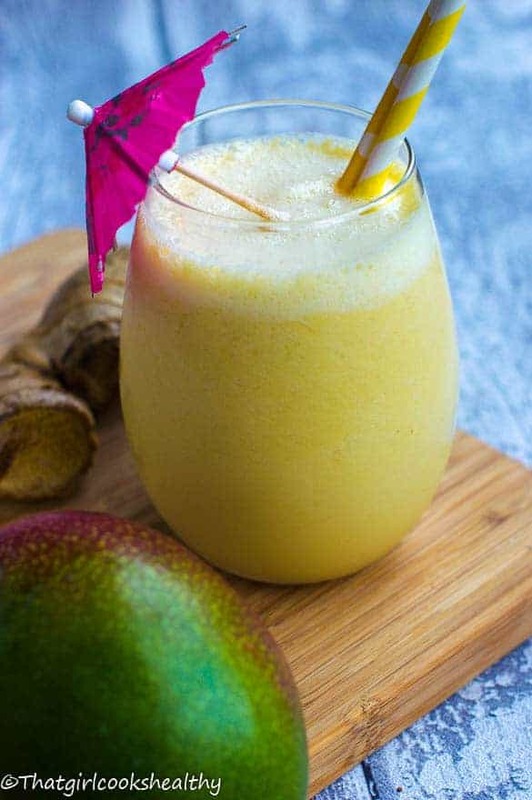 This mango ginger snap smoothie really packs a punch – the combination of mango, banana, ginger and coconut milk is guaranteed to tantalise your taste buds. 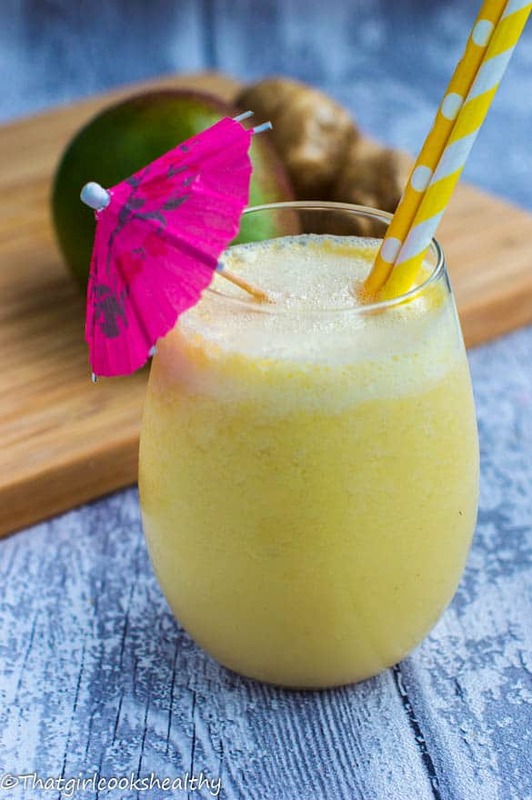 The star of the show for this recipe is the ginger, which is an excellent anti-inflammatory root – perfect for alleviating aches, pains and suitable for people who suffer from an autoimmune disease or allergies. Ginger is a natural antihistamine which reserves the chemical response that the immune system has to foreign bodies (i.e germs and bacteria). I purposely coupled the ginger with mango due to being high in vitamin c, again another fruit that helps boost the immune system. A high speed blender is recommended and try to use a frozen banana for extra creaminess. 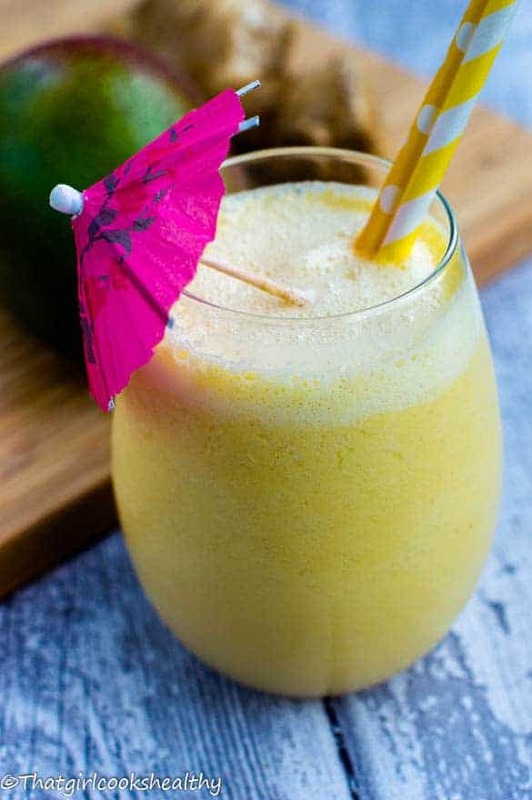 You should make a mango ginger snap smoothie because………. Add all ingredients into blender and mix until smooth and creamy.